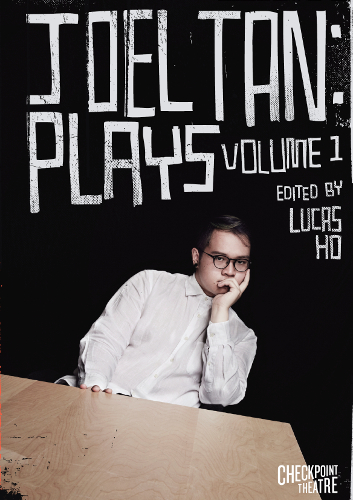 Checkpoint Theatre has done me the honour of publishing my first collection of plays, optimistically titled “Volume One,” edited by my good friend and fellow writer, Lucas Ho. These are seven plays all written and staged between 2011 and 2015. There was a lovely launch event on the 14th of August where many of my family, friends and former collaborators turned up to hear readings of excerpts from the plays collected in here. It was an interesting way to hear the changes in my playwriting marked like that, and as much as there was an air of retrospection, it also left me feeling really excited for the future. Naturally, I’m thrilled this book exists and that these plays hopefully now have a little more room to travel in the world beyond the tiny theatres they’ve all played in. Being plays, they may have a strange, zombie-like half-life on the page, but hopefully there’s some weird alchemy that happens in reading that grants them something the stage never could. Even though it’s got my name and mug splashed so loudly over the cover, the authorship of these plays is shared with a diverse range of people, from my first playwriting teacher, Huzir Sulaiman, to the circle of playwrights in the workshops he led at NUS, to the various directors and actors who have challenged and wrestled with these scripts and the designers, crew, stage managers who have made their productions possible. And of course, a world of audiences I can never fully know, each person creating their own plays. Thanks all for letting me claim these plays as mine! Copies can be purchased at Kinokuniya, Books Actually and Select Books, or from Checkpoint Theatre at http://checkpoint-theatre.org/publications-merchandise. The retail price is $29.90.